Getting Started - Phatch = PHoto & bATCH! In case you still need to install Phatch, read the instructions here for Ubuntu, GNU/Linux, Windows or Mac Os X. This tutorial is made on Ubuntu. Phatch installs itself nicely in the Start Menu as shown in the screenshot below. A common mistake is to think that Phatch opens images or photos directly. 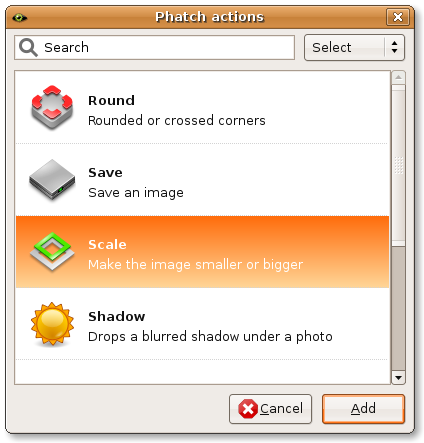 Phatch can save and open action lists, which will be applied to as many photos as you want. This might sound a bit abstract, but it will become clear when reading this tutorial. 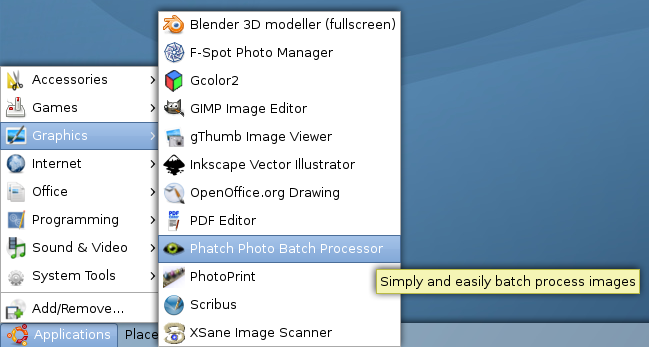 Phatch starts by default with an empty list, with the logo shown. There are three actions related to size: Scale, Fit and Canvas. Canvas adds or crops a border to an image, while Scale scales the image itself. 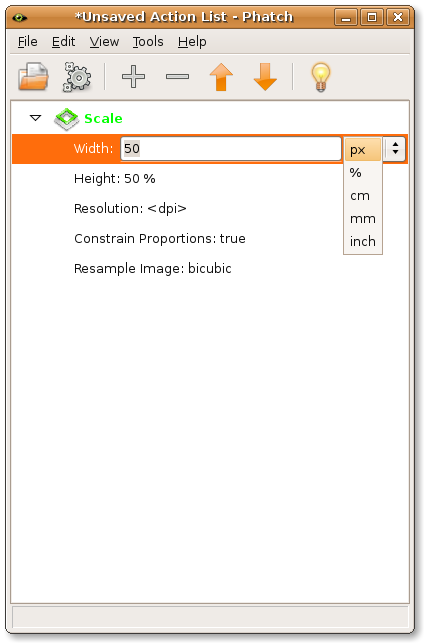 So to resize an image we need Scale, which will scale the image so that the width or height is not bigger than the given size. 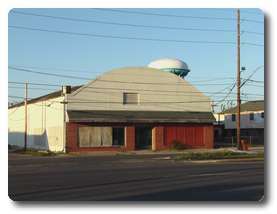 Fit does the same as Scale, but will crop the image so that width and the height are fixed to the given size. If you want to know more about this dialog box, you can read the page about the User Interface. Suppose we want to have thumbnails of which one side is maximum 256 pixels. 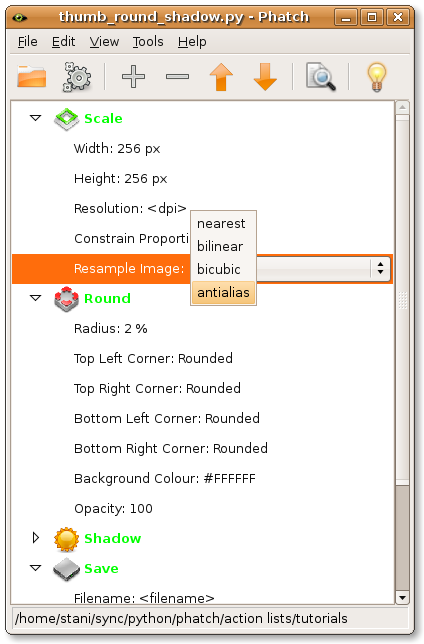 Right now the Scale action will make the image half as small as it will resize to 50%. Therefore we have to switch the units from "%" to "px" (= pixels). Note: In Phatch you can choose from different units. The metric units like inch, cm and mm are calculated based on the given dpi. Note: I change Resample Image to antialias which is slower but gives better quality downscaling. For upscaling bicubic is the best option. The last action should always be a Save action. It would make no sense to manipulate images and not to save the result. Just leave the parameters of the Save action to its default values. After executing Phatch, you will find a new folder of which the name ends with "_copy" and which contains all your manipulated images. The order of the actions is important. If we had applied the drop shadow before applying rounded corners, the result would not look so nice as the shadows would have rectangular corners while the thumbnail itself would have rounded corners. So always think about the order when assembling an action list. If you want to change the order of the actions, you can just drag and drop them as you wish. Browse with your file manager to the resulting folder, in our case "home/stani/phatch/images_copy". There you will find the generated thumbnails. You remember the example from the beginning? If this is your favorite recipe for thumbnails and you like to reuse it in the future, you can better save it with "File>Save As". This will give you the possibility to start batching right away without going through the steps of adding the actions first. You can open any action list with "File>Open". Recent action lists will also appear in the File menu directly as a shortcut. If you select View>Droplet from the menu, Phatch will change in a droplet (see left), which is always on top of the other windows. Batching now became even easier. Just drag and drop any folders or files on the droplet from your favorite file/image program and Phatch will execute the current action list. If you enjoyed this tutorial, I hope you want to contribute to Phatch in any way you can. Phatch needs your help!